From a packed house on Tuesday to the lowest crowd of the day on the Saturday such is the fortunes of Stenhousemuir. The performance for much of the game matched the size of support in otherwise it left much to be desired. There was always a worry that the players would suffer a reaction from the Rangers game and this was indeed the outcome in a sluggish first half when they were second best to their SPFL Division Two opponents. Jim Chapman’s teams are always difficult to break down and are well organised no matter the level that they are playing at and the Warriors without Sean Higgins, Bryan Hodge and David Rowson seemed to take the wherewithal to create the openings. There was a welcome return though of John Gemmell after his suspension in the Ramsdens Cup. There was also an appearance of the Scottish Cup itself in what must be a rare sighting at Ochilview as it was on display for the spectators as they came into the ground. After an initial flurry at the start of the game when Sean Lynch had a shot cotmfortably saved by veteran keeper Kenny Arthur it was Annan who took over proceedings with Stenhousemuir struggling to get to the pace of the game. In quick succession Kenny MacKay had two efforts and goal , the first when he beat Ross McMillan but failed to get power into his shot and the second a minute later when he forced Chris Smith into a decent save. Smith then saved from David Hopkirk before Peter Watson missed the target with a header from only six yards. The Warriors were lucky to survive but eventually their luck ran out when Annan took a deserved lead in the 25th minute. A pass down the right should have been intercepted by Kevin McKinlay or Eddie Malone but wasn’t and when a cross was played into Hopkirk he was denied by a Smith save but Martin McNiff reacted quicker than anyone else to stab the ball home. MacKay then saw a glancing header drift wide as Annan continued to dominate. 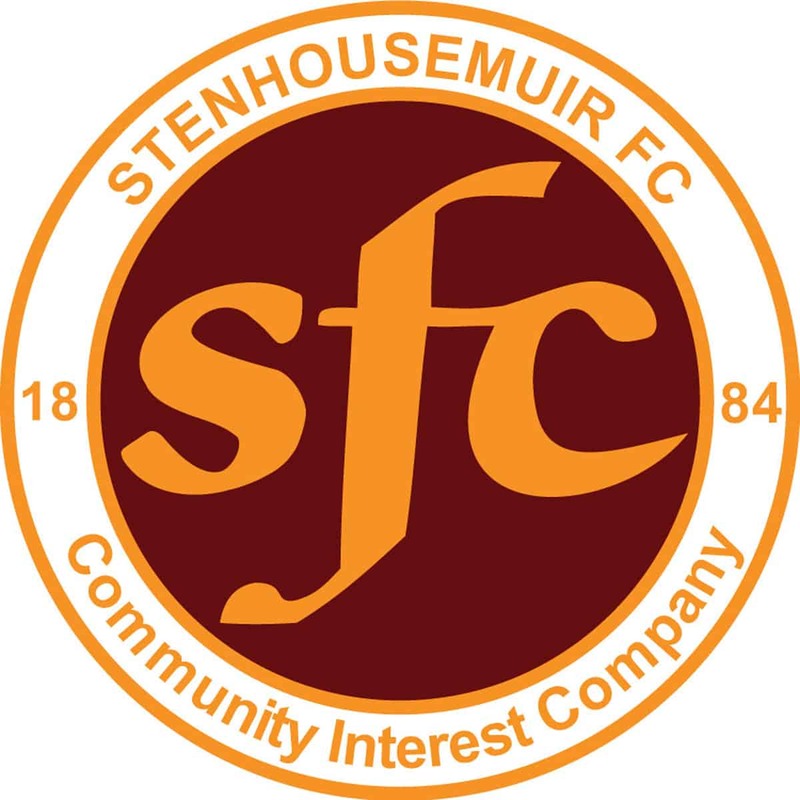 Eventually Stenhousemuir created a rare chance when a John Gemmell header picked out Darren ‘s Smith but his sidefooted effort was blocked for a corner by Steven Swinglehurst. They were unlucky not to equalise though in the 33rd minute when an Eddie Malone free kick struck the post with Arthur beaten and Sean Lynch’s strike from the rebound also hit the base of the post. After a poor first half things could only get better performance wise and so it proved with the Warriors equalising in the 51st when he tucked the ball home from 6 yards out after being picked out by Darren Smith. There then followed a piece of John Gemmell magic as he picked up a loose ball 25 yards out and rifled the ball into the top corner of the net. This was a goal worthy of winning any game but sadly for the Warriors support that was to be the case as Annan equalised in the last minute of the game through Kieran Brennan who scored with one of his first touches of the ball after coming on as a substitute. Chris Smith had once again denied Hopkirk stopping his effort but as in the first half it was an Annan player who was first to react with Brannan sending the Annan fans into delirium when his effort struck the net. All in all it was a poor performance from the Warriors who matched the weather with a dreich display. This means a replay at Annan on Tuesday 12th of November. It was disappointing to concede so late in the game but after the first half display a draw was probably a fair result and at least we have a second chance to advance to the fourth round. Stenhousemuir –C.Smith, Devlin, McKinlay, Malone, McMillan, Lynch, Dickson, Ferguson, Gemmell, Douglas [Watt 74] and D.Smith. Subs not used – McNeil, R.Smith, Brash and Shaw. Annan Athletic – Arthur, Sloan [Todd 69], McNiff [b55], Andrew Mitchell, Watson, Swinglehurst, Mackay [b83], Jardine [Brannan 87], Weatherson, Hopkirk and Love [Davidson 87]. Subs not used – Anderson, Bradley, Alex Mitchell and Flynn. Referee – Greg Aitken Assistants – Alasdair Ross and Alan MacFadyen.